DALE STEINKAMP IS known for many things - bus driver for the Quincy band Eleven, father of three beautiful daughters, husband of the amazing Wendy and purveyor of bad jokes about parking in downtown Quincy. Dale also works for MS Communications. He came into the store a month ago and said he could save us a bit of money on our phone plan, AT&T specifically. About once a week some shyster, usually from Chicago, comes in and promises us a big pot of gold and the end of the phone, electric, credit card transaction and internet rainbows. I used to listen for a minute or two. Now it’s out the door in under 30 seconds. Anyway, Sheryl decided to listen to Dale because he’s a good guy and we had nothing to lose. Lo and behold, MS Communications found out that AT&T had been inadvertently overcharging us for years on our landline phone bill. Today we got notice that our account will be credited with $744.23 due to charges and taxes that were incorrectly billed for the last seven years. That’s a lot of money for a small retail business, or any business. Word of mouth is crucial in our world. Sheryl and I are beyond grateful to Dale and Nick Steinkamp. We recommend you give them a call or listen when they come in to talk about saving your business money. 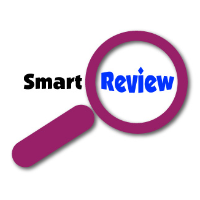 We don't normally recommend this type of behavior but since it is Dale, it's OK. A "Smart Review" could be very smart. Labels: ms communications, save a bundle, we can all use some extra cash.